Fixing a gaping neckline on a store bought top or dress can be tricky because you can’t really do anything to the neckline itself unless there’s a seam or pleats/tucks to work with. 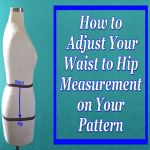 But on a pattern piece you can work directly on the neckline and it’s not a complicated alteration. Don’t you love an easy fix? I know I do. A gaping neckline causes your garment to sit away from your body at the chest and sometimes the shoulder. No matter how much you pull and tug, there’s always a gap. In the image below, I’ve pinned out what needs to be taken from this neckline. I’m going to show you how to fix this this problem on 2 different front pattern pieces-one with a dart and without. What does a dart have to do with your neckline? You’ll soon see. 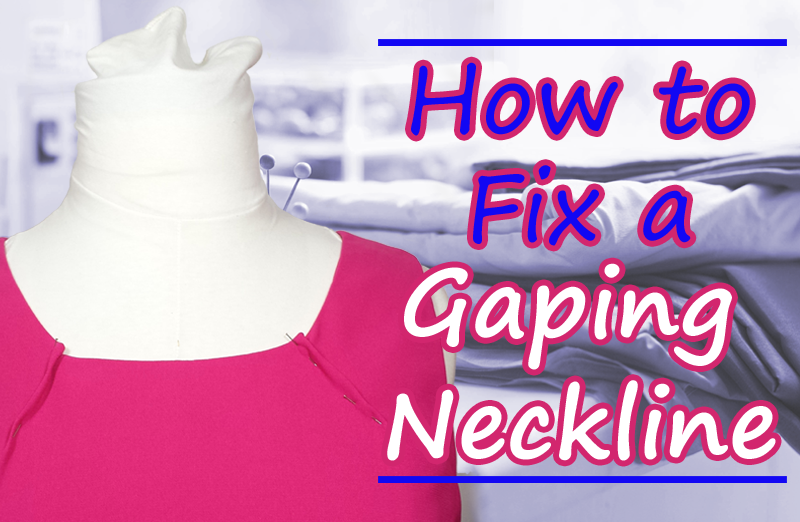 Watch the video below for the tutorial on how to fix your gaping neckline. 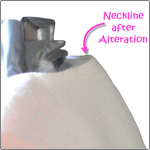 Thank you for this tutorial on how to fix a gaping neckline. Everything I sew has a gaping neckline and your explanation and video is, by far, the best. I don’t like to taking it off at the shoulder and your tutorial is a better fix for me. You’re welcome, Dianna. Try this method as well as the one I show you here: http://bit.ly/2FYRKP0 and see which one works best. I’m glad I could help. Wow awesome tutorial. Thank you so much! You’re welcome, Christina. Thanks for reading and watching. Thank you for the wonderful tutorial. Would you do the same “with dart” alteration for a side dart? Again thanks for your amazing website. You’re welcome, Susan, but really, thank you for stopping by. You can definitely use the side dart. 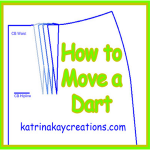 It doesn’t matter which dart you use, just don’t forget to extend it to the bust point before you do the alteration. Good question-thanks for asking. You’re welcome, Michelle. Thanks so much for watching. Excellent pattern making and explanation! Thank you very much. You’re welcome, Frenie. Thanks for watching. Glad I could help Sivan. Thanks for reading and watching! Thanks Primrose. I’m glad to be considered a resource. And thanks for the warning, lol. For ready to wear tops with a ribbed edge, I have had some luck with threading a length of elastic thread through (inside) the edging. Using a blunt needle (large tapestry) needle, start at the shoulder seam and hide the knot in the seam allowance. Gently work the needle and elastic through the edging to the other shoulder. 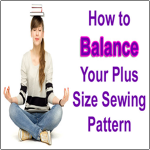 Try on the top and adjust the elastic so the gap in the neckline is made smaller. 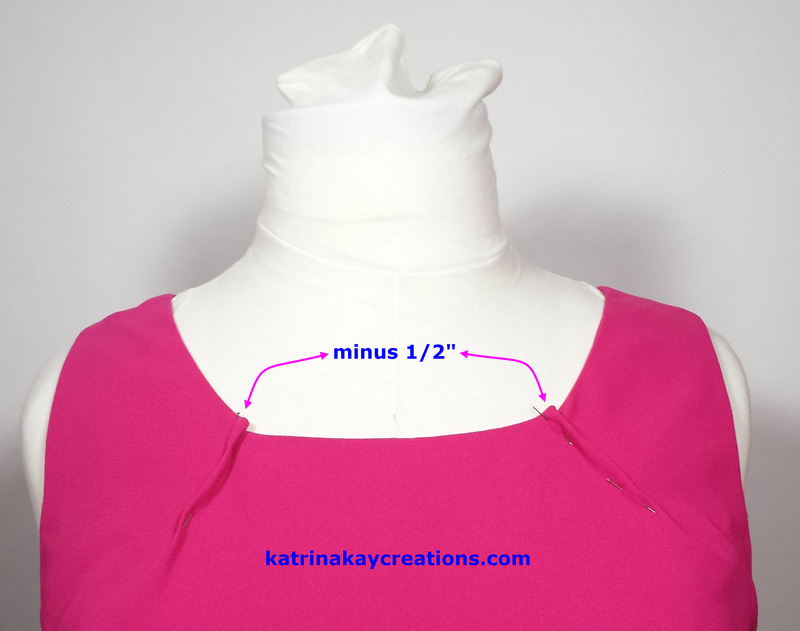 If this is enough adjustment, fasten off the elastic – hiding the knot in the other shoulder seam. Steam press lightly to smooth the neckline. If does not look right or is not enough, you will have to open the shoulder seams to modify the neckline. That was very helpful, Diana. Thanks for sharing. I’ll have to try that. 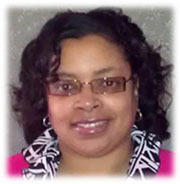 Thanks ms. Katrina. It was such a great tip. It helps a lot.more power to you, God bless you always! You’re welcome, Malou. I’m glad it was helpful to you. Thanks for taking the time to read and watch. God bless! Great. Another one of my fitting problems solved. Good, Sandy. I’m always glad to help. Thanks for taking time to make and post – everything you make time to post. You’re welcome, Harrjandy. I love doing it! THANKS SEW much for this Tutorial Katrina! I have a narrow chest, so this will help me so much! You’re welcome, Dara. I have narrow shoulders so I always have this problem. Glad I could help.